Fly, fly to the sky, to the clouds – where the world will look completely different. Maybe when looking down you will be able to see unusual things. Don’t give up – fly further with every puff of wind. 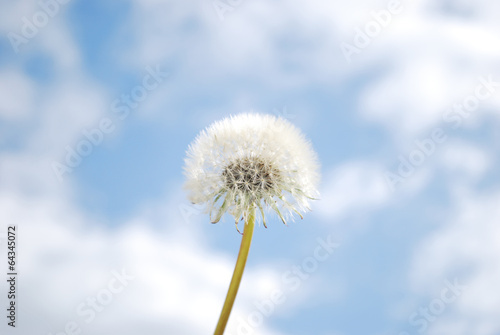 A photo wallpaper with a dandelion will be a perfect supplement of your house design. It will look really presentable both in a living room and bedroom.